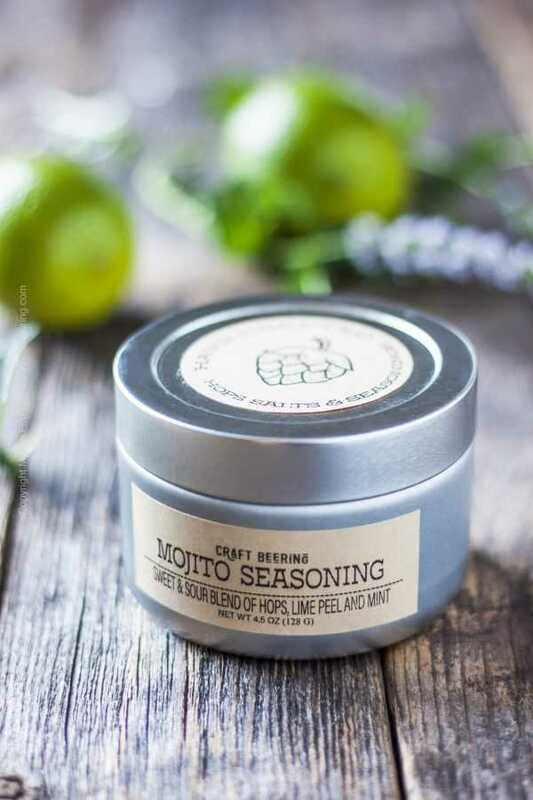 Our Mojito Seasoning is a balanced sweet and sour blend of Cascade and Mosaic hops, lime peel, lime juice powder and dried mint. Expect a bold combination of flavors and aromas reminiscent of the popular namesake cocktail. The citrus aromas of Cascade and Mosaic are reinforced by the lime peel and flavored by the lime juice powder. All this is balanced by cane sugar sweetness and herbal mint accents. 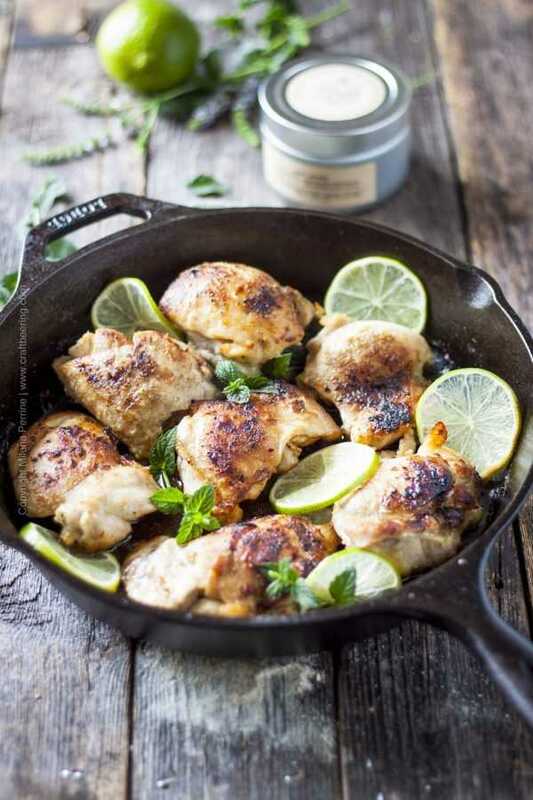 A few fine crystals of Mediterranean sea salt complement the sweet and sour nuances and add a savory aspect to the blend. A touch of white pepper lends a hum of spice. Our favorite uses: This seasoning works best with seafood. 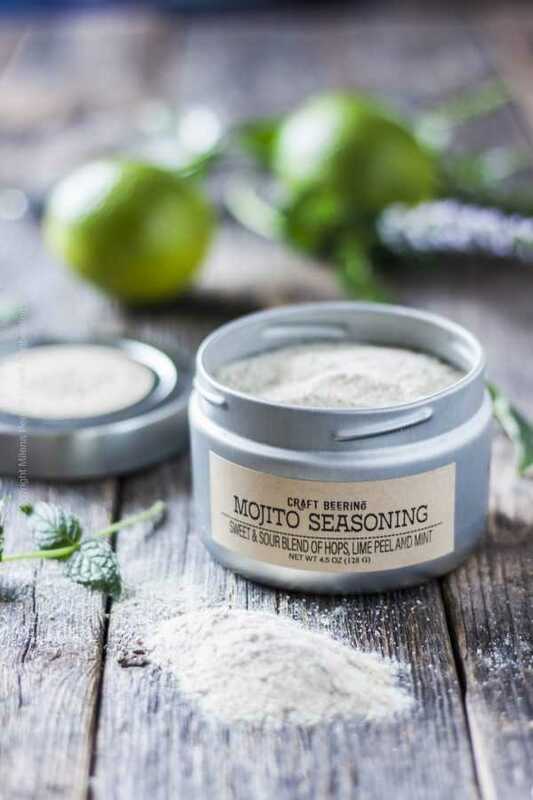 Whether you will be grilling or pan searing white fish, shrimp, scallops, crabs, oysters – they all take on the Mojito Seasoning flavors and aromas in a delightful manner. 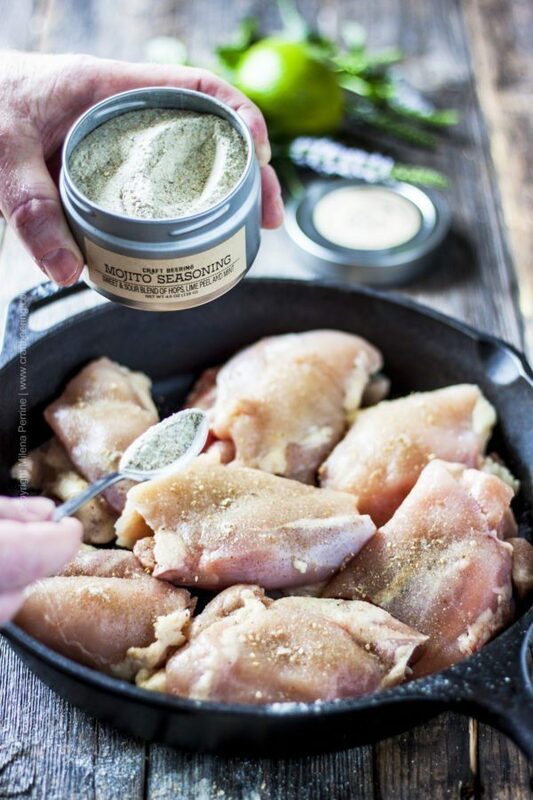 Chicken is another great candidate for dusting with this blend or you can simply mix some of the seasoning with olive oil for a delicious marinade. Hand crafted and packed to order with freshly ground Cascade and Mosaic hops pellets and lime peel. Net Weight 5.5 oz. Store in a cool, dry place.